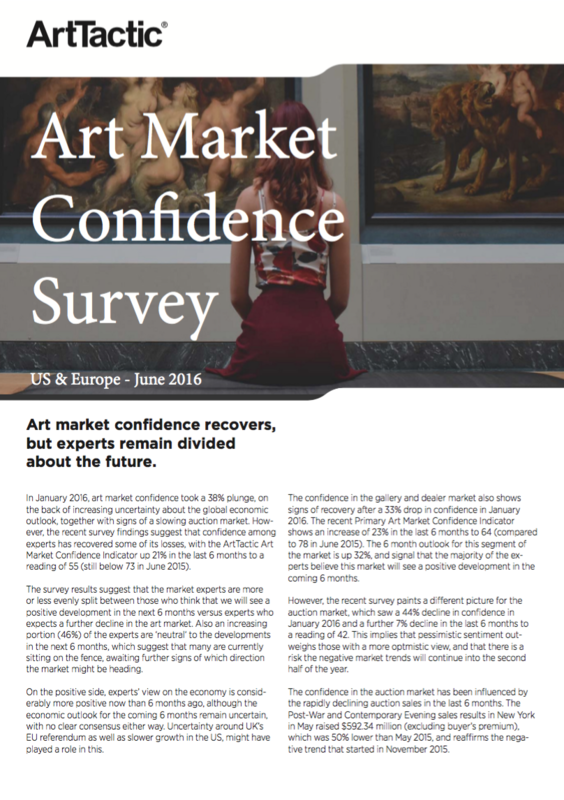 In January 2016, art market confidence took a 38% plunge. This was on the back of increasing uncertainty about the global economic outlook, together with signs of a slowing auction market. 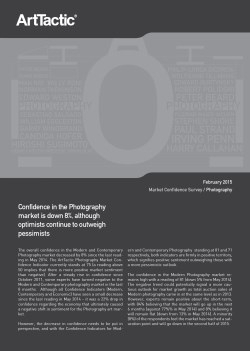 However, the recent survey findings suggest that confidence among experts has recovered some of its losses. 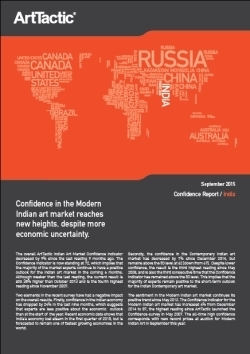 The ArtTactic Art Market Confidence Indicator up 21% in the last 6 months to a reading of 55 (still below 73 in June 2015). The survey results suggest that the market experts are more or less evenly split. Some experts think that we will see a positive development in the next 6 months while other expert expect a further decline in the art market. On the positive side, experts’ view on the economy is considerably more positive now than 6 months ago. The economic outlook for the coming 6 months remains uncertain, with no clear consensus either way. Uncertainty around the UK’s EU referendum as well as slower growth in the US, might have played a role in this.